Becca has taken the highlighter world by storm and, in my opinion, they have been dominating it. You can find a highlighter that you love whether you love a liquid, pressed, and now even cream, highlight. I already own three of their pressed highlighters– Champagne Gold (LE), Opal (HG status), Rose Gold— and they are the softest and most pigmented highlighters I have ever used (read my full review here). So, you know when they launched their limited edition shade in Blushed Copper, I had to snag it up. 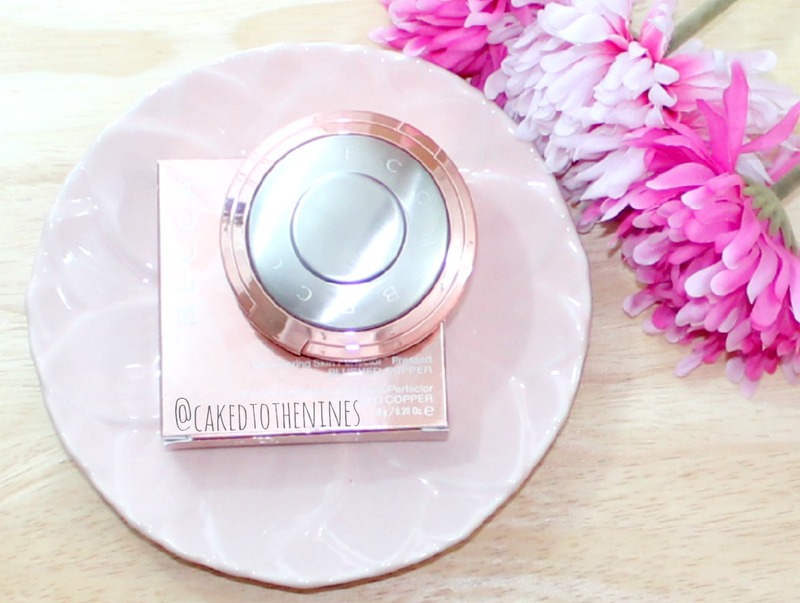 Continue reading for my Becca Blushed Copper Shimmering Skin Perfector review! The pigmentation of this is heavenly, just like the other pressed shimmering skin perfectors. However, since this is a coppery highlighter with a slight rose gold tone to it, it is a lot more pigmented. It does blend out beautifully and sheers out quite nicely while still giving your cheeks a gorgeous glow. It does have some sparkle to it, but it’s nothing too intense as long as you blend it out nicely and don’t use too much. Like the other pressed shimmering skin perfectors, this is extremely soft and just feels like velvet on your skin. This will be an amazing highlighter for darker skin tones. I have a medium tan skin tone with yellow and olive tones (MAC NC40) and I can still use this as a highlighter because it blends out really well to a sheer coppery/gold highlight. However, I do have to blend it down into my blush so it’s not so unnatural and stark. This will even be a beautiful blush or blush topper. If you’re very fair skinned, I’m not sure this would work as a highlighter, but it would work as a blush or blush topper if applied lightly. This even works as an eyeshadow/ inner eye highlight if you want something other than the usual champagne/ gold/ silver inner corner highlight. 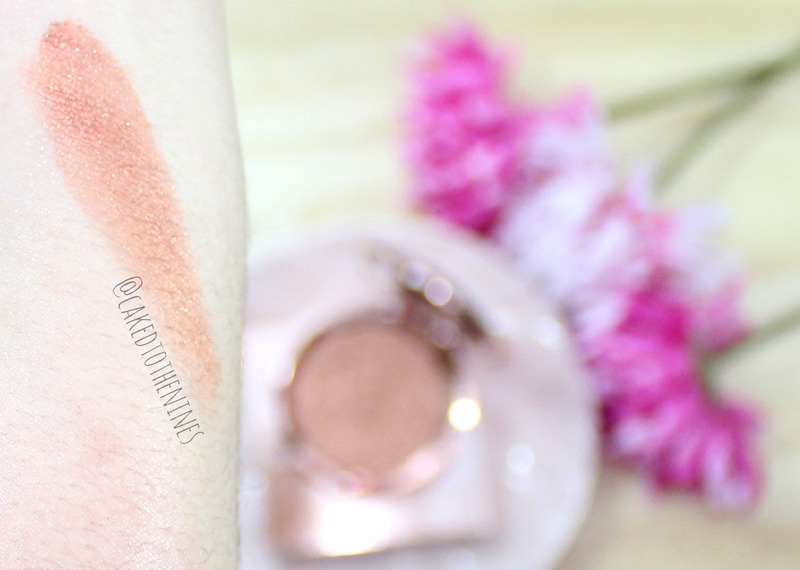 The swatch in the picture above is obviously a heavy swatch, but if you use a fan brush and just dust this over your cheeks it will give you a gorgeous coppery glow that will be exceptional during the summer months. Can we also take a moment to discuss the rose gold/ coppery packaging. I really like that they changed up the outer packaging, and like their other limited edition shade, Champagne Gold (and Rose Gold, until they made it permanent), the product itself has a beautiful pattern and texture. However, the texture/ pattern doesn’t take away from the quality of the product, which is wonderful. The Good | Buttery, velvety, pigmented, buildable, versatile, sheer. The Bad | Nothing. Literally nothing. The Verdict | If you haven’t gotten your hands on this yet, it’s not too late! Pick it up before it sells out otherwise you will regret it. I think this is a great addition to anyone’s collection and definitely worth the price. You get a lot of product and you don’t need very much so it will last you a long time. I also like how this is very versatile. Use this as a highlighter, blush, blush topper, all over the eyelids or even on the inner corners of your eyes as a unique coppery inner corner highlight. Keep in mind, if you like a more natural highlight then you probably won’t enjoy this because it is a pretty unique highlight color. Have you tried any Becca highlighters? What are your thoughts? Let me know in the comments below!